Fidelity Worldwide Investment (FIL) was first established in 1969 to cater to the growing market of international and offshore investors. It was originally part of Fidelity Investments (also known as Fidelity Management & Research, or FMR), one of the world’s largest providers of financial services, which had assets under administration of $4.5 tn, including managed assets totaling $1.9 tn, as at the end of January 2014. But FIL has been a separate – and independently managed – company since 1980. FIL’s first expansion beyond its corporate headquarters was in Tokyo, with a research presence established in 1969, followed by a further investment office in London in 1973. Today, FIL manages or administers more than $340 bn for clients ranging from sovereign wealth funds to individual investors and has offices across 24 countries, predominantly in Europe and Asia. The company manages more than 660 funds, which mainly invest in equities and fixed income, representing in excess of 5 mn customer accounts. Fidelity has probably the best-resourced US equity buy-side and investment teams outside the States, with five dedicated US equity fund managers managing $14.8 bn, supported by a team of 15 analysts. Fidelity also manages $52 bn in UK and European equities. Richard Lewis, head of global equities at the firm, is responsible for the global, emerging markets and US equity investment teams and overseeing the portfolios they manage. FIL has taken an important step in establishing its own US equity research team, rather than buy research in from FMR. What have you done, exactly? The main reason we have expanded and created our own US equity research and trading functions is to give us more room to grow. We have $14.8 bn of assets under management in dedicated US equities compared with what is a substantially greater pool of assets managed by FMR in the US on behalf of US domestic investors. In certain markets, particularly in the US equity markets, the ownership by the two companies is becoming quite high. A way to get around that issue is to have two completely different engines making completely different decisions and, in that way, individually we can justify having slightly higher ownership of stocks than if it was just one investment engine making one decision. To give you some idea, the two separate Fidelity businesses had reached what was felt internally to be a maximum holding size of 400 US stocks. Now the FIL engine is split from the FMR engine, our US ownership can grow without creating any constraint on those 400 stocks. Specifically for FIL, it’s a terrific opportunity as it allows us to generate our own US equity expertise. There’s a very large market to address that is not very well catered for at the moment – active US equity fund management – where we now have a suite of well-diversified products. Secondly – and just as importantly – at FIL we really want to grow our global equity franchise, which is not as big as we think it could or should be; and in order to have a substantial global equity franchise you have to have a substantial US equity franchise. So those are two business opportunities for FIL and our clients arising from this separation. So FIL and FMR are split? We are two separate companies and have been independent of each other since 1980, so nothing has changed in that respect. We have continued to trade services between each other on an arm’s-length and commercial-terms basis. What has happened is that we have changed some of these arrangements and we no longer source equity research, for example, as we have our own fully established and global capability. What are FIL’s total assets under management worldwide? Within FIL’s total assets under management and administration of $340 bn, managed assets comprise $270 bn. This is made up of $155 bn in equities, $62 bn in fixed income and the remainder predominantly in mixed assets and asset allocation products through our Fidelity Solutions group. This is split approximately 25 percent institutional and 75 percent wholesale and retail. How can a US company see whether Fidelity in Boston or Fidelity in London holds its stock? Using Apple as an example, 13F filings show FIL (Bermuda) with 395,524 shares and FMR with 28.3 mn. Can you clarify which shares are being managed by the team in London, for example? FIL (Bermuda) is Fidelity Worldwide Investments, so in the case of Apple this is managed by the team in London. FMR is Fidelity Investments, the North American Fidelity business. FIL’s corporate seat has always been in Bermuda but our investment management activities are located in 11 countries around the world, principally the UK (London), Hong Kong and Japan (Tokyo). The Hong Kong office is the regional center of the Fidelity offices in Asia. We have a huge network in Asia, from Japan to Australia, and Hong Kong manages Asian equities. Our global team in London would have an interest in seeing a Japanese company, but it will be addressing a much bigger audience if it goes to our Tokyo office. Hong Kong is our biggest center in the region, Tokyo is also very important and Singapore is becoming increasingly important. What about the FMR and Pyramis offices in London? FMR and Pyramis have operations in London. Just as we have built out our US equity research, they have built out their non-US equity research so there are two separate investment engines in operation that have global coverage. You must bear in mind that we are separate companies, managed independently of each other. So Fidelity in London is now completely separate from Fidelity in Boston. Do you ever confer with colleagues in Boston? We have been separate entities for more than 30 years, but with the recent changes in research and trading there is strictly no contact between the investment teams. In order to get the greater room to buy referred to earlier, we must maintain and be able to demonstrate complete separation between the investment engines. There can be no research contact. There’s a very solid wall: no analyst contact, no fund manager contact, no trading contact. FIL has five US equity fund managers in London managing $14.8 bn. What is the total US equity figure managed from London? Dedicated US equity mandates are $14.8 bn plus a further $7 bn as the US equity share of global mandates, bringing the total of assets in US equities to more than $20 bn, and we expect to grow this pool further. Do the five dedicated US equity fund managers have different investment styles? They do: two are core all caps above $2 bn, two are growth with a mid-cap bias ($1 bn-$10 bn) and one is value all caps above $2 bn. In spite of the different styles, is there a screening process a stock has to get through? No – there’s no screening process, and no [target] holding period. Part of my job is to make sure there is style diversity. As well as your dedicated US equity fund managers, you also have dedicated sector portfolio managers and analysts. How do they all work together? Within the global equity area, we have diversified global products that are global equity mandates but we also have a suite of global sector funds. For example, Hilary Natoff runs a healthcare fund that invests globally across the healthcare sector and is worth $885 mn (as at the end of February 2014). Those global sector experts are important in helping our diversified global equity portfolio managers with their ideas generation and validation. They work in collaboration with the regional analysts and will share investment views with the other fund managers. Would a US equity portfolio manager consult with FIL’s sector specialists, for example? FIL’s analysts rotate frequently – why is that? Analysts typically spend three years on a sector before rotating off to another one. Some progress to become portfolio managers, some remain as career analysts and some progress to other areas of the business. And, of course, some don’t make the cut! In terms of European companies coming to visit Fidelity, is it the same – they are two totally separate operations? In every respect FIL and FMR are separate firms. FMR and Pyramis operate jointly. We don’t share information with FMR or Pyramis, but they can share information with each other and combine their trading activity. FIL, however, operates completely separately. What is your approach to engagement and voting your proxy on your non-UK holdings? We have a pretty big effort on the corporate governance side. We have a separate corporate finance function led by Trelawny Williams on a global basis for FIL. Working alongside Trelawny, and more relevant for US corporates, is Greg Bennett. 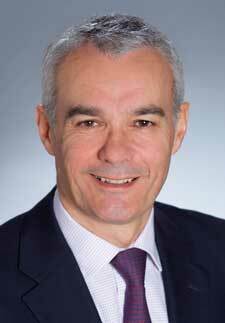 He is head of capital markets for EMEA and the Americas, and he has a counterpart in Asia. When it comes to corporate dealings with Fidelity, companies are welcome to talk to those people in the corporate finance department and make them insiders, and then it is up to them to judge whether to make our portfolio managers insiders or not. Companies can sound out our corporate governance professionals on their thoughts. Fidelity also has a set of voting principles that we publish and provide to companies in a document called Principles of Ownership. The principles set out the broad voting patterns of FIL. There’s nothing particularly contentious. We will engage with companies but generally in a very private way; we don’t like doing things in a public way. FIL will vote shares as long as it is in the interests of our underlying clients. Any restrictions from an SRI or ESG point of view? We are signatories to the UN PRI, so some mandates do have restrictions but there are no company-wide restrictions. How should companies work with you on SRI/ESG issues? They should contact Greg Bennett or Trelawny Williams. How many companies does FIL meet with each year? In 2013 our equity professionals based in London (covering Europe, US and emerging markets) held more than 5,400 meetings. What is your view on the corporate access debate in the UK and its implications for IR? Corporate access is extremely important to us; it is the raw material of what we do. We understand the landscape has changed and Fidelity has changed with that. In part this means we will arrange more corporate access directly ourselves and – fortunately – Fidelity is big enough and well-enough known to be able to do that.